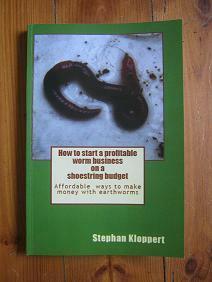 I have bought you book "How to start a profitable worm business on a shoestring budget" and I am very pleased I did! I would like to start an earthworm farm, mostly for the business part of it. Now, I live in Tahiti, French Polynesia. 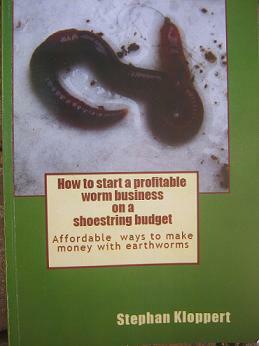 The thing is that there are very few people selling worms today (which is a good time to start a farm), problem is, they only sell boxes of 40 - 60 worms, which is about $23 - so 500 worms to start with, will actually cost a fair budget. Do you have any tips to make them reproduce quickly? I have read that they would multiply faster in a larger container, as opposed to being overcrowded in a small bin. Do you have any other tips? it was a pleasure to assist you with your worm multiplication query. I trust you soon will be on your road to become a successful worm business owner. Once you got your business name and your contact details, you are welcome to apply for a free basic listing in my Worm business directory. I think we don't have anybody from Tahiti and French Polynesia listed yet so this could be an additional bonus for you. One last tip. When you receive your worms count them. As this is only a small number it shouldn't take longer than 15 to 20 minutes and if your supplier has sent you to few worms ask for the missing ones to be sent as well! Just remember to handle the worms gently and in a cool and shady spot. Dear Hina I wish you all the best for your worm composting project and am looking forward to hear from you. Thanks a million Stephan for taking the time to reply to me. I should get my worms tomorrow. I will carefully follow your instructions. thank very much for purchasing my book. I am glad you like it. The costs for worms are really very high in your part of the world and I understand that it would be quite costly for you to purchase 500 worms. So if you can only start with a box of 40 to 60 worms it will just take you a little longer to get your business going. But if everything goes well you could multiply 60 worms to 500 in less than 6 month. 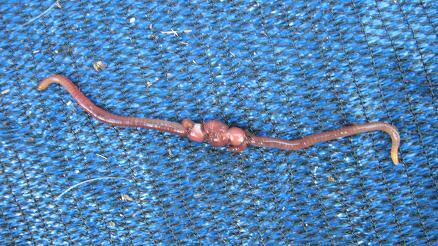 When it comes to multiplying worms quickly there are just a few simple rules to follow. It is quite true that worms will stop reproducing and even might to begin migrate out of their bin in numbers if their bin becomes overpopulated. But on the other hand worms are not picky when it comes down to mate with another worm that they come across while crawling through their bin. Their chances to meet and mate with another mature worm are much higher in a small bin than in a large one if you only have a few worms to start off with! I described the multiplication process with breeder bins quite detailed in my book (Have a look at the chapter ("Multiplying your worm herd" starting at page26 of the book) but in a nutshell these are the things you should do to multiply your worm herd quickly. 1. Place your worms in set up breeder bin that should be small enough that it can be lifted and handled by a single person. We are using mostly stackable bins with the dimensions of 50cm length x 35cm width x 18 cm hight but in your case as you are starting with only 40 to 60 worms you can as well use a bin that is slightly smaller than that to increase breeding speed. 2. 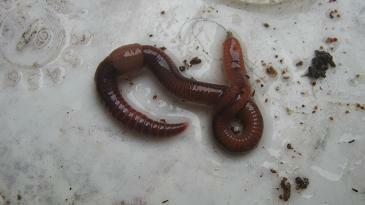 Add your worms and let them dig down into the bedding which will only take 2 to 3 minutes. 3. Add some good food. We had great success multiplying our worms in bins using fresh dog poop or horse manure to feed our worms but you can use a mix of any of the generally regarded safe worm food choices (Have a look at the "worm-food-rating-list on my website) for some ideas or use the book to pick which worm food would suit your needs.Cover the worm food with a thick soaked newspaper, a sheet of plastic and a lid. 4. Usually you should wait for 21 to 28 days before you empty the box to separate the cocoons and infant worms from the mature breeder worms. Than place the cocoons and baby worms in another breeder bin and give them 2 to 3 month before you touch it again. 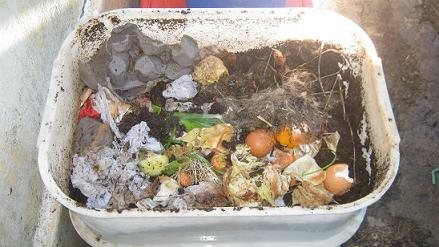 In your case however as you are starting with such a small amount of worms, leave them in the bin for about 3 month, just regularly checking the conditions inside the bin and see if they need some fresh food. 5. 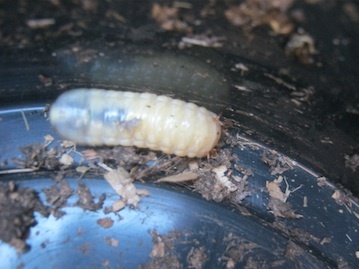 After 3 month empty the bin and separate the mature worms from the cocoons and the baby worms. Put the mature worms back into their prepared breeder box and give the old bedding with cocoons and baby worms into another breeder bin. 6. Wait for 21 to 28days and empty both bins separating mature worms and babies again, to start 2 more bins. 7. Repeat this cycle till you have about 10 breeder bins set up with worms. Once you got there keep separating big and small worms every 21 to 28 days from the breeder bins but if you are happy with the amount of breeder bins and their worm production add the harvested infant worms along with their bedding into your first bulk worm bed. At this stage you will be well on your way. all the steps are explained in more depth in the book but if you have any further questions please feel free to contact me.